This November, in honor of Thanksgiving, we’re sharing information that outlines nine ways to express gratitude to the people who have gone the extra mile to help us. Ideas include writing a note, giving them a small token of appreciation like flowers or their favorite treat, or publicly acknowledging and appreciating their good deed on social media. Gratitude is more than good manners; it’s a great way to improve your relationships with friends, colleagues and loved ones. We want to take this opportunity to tell you how much we appreciate you! Your business and referrals allow our business to thrive. 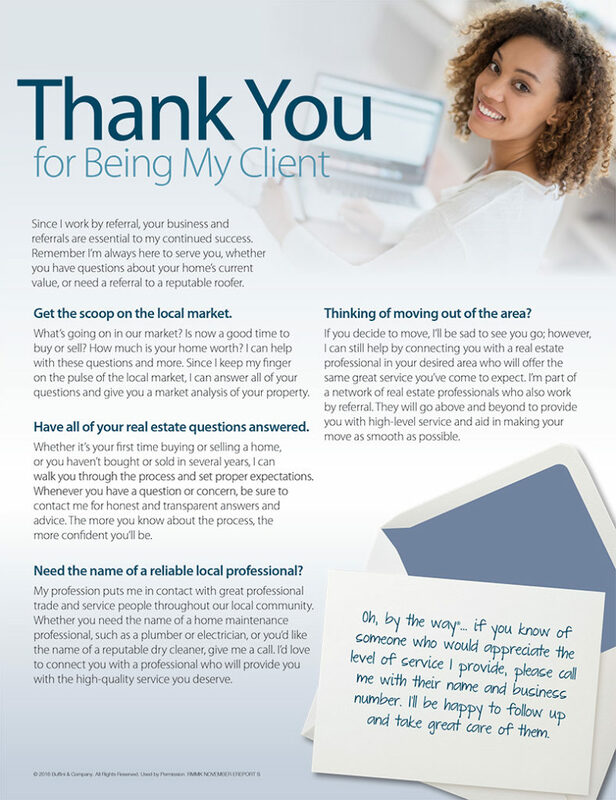 Thank you for being our client and allowing us to be your trusted real estate advisors.